For those of you who have been doing this a while... have you ever looked at the workout of the day and thought to yourself "RX is deadlifts at 315/225? these people are f**king crazy?" We all have probably done that at some point - I know I have. Here are a few points I want you to remember when this thought pops into your head. This is your journey. The weights written in a WOD as "RX" do not really matter, this is merely a suggestion. Yes, it is fun to be able to "RX" some workouts. The first day you do unassisted pull-ups is a huge milestone, but that does not mean you'll never have to scale a workout again. Any coach, in any program could write a crazy workout and call it "RX", It's all relative. For perspective, CrossFit advocates programming for your best athlete as the "RX", and let everyone scale from there. That might leave some of us feeling a little defeated. If you take a look at CrossFit.com workouts, they are HARD. My point is, just because you usually do workouts RX, doesn't mean you have to always perform the WODs in that way. We all have different strengths, abilities, and goals. The coach is there to help guide you through the workout, and that includes coming up with an appropriate scaling and game plan that is going to guarantee you perform the workout at the intended stimulus. 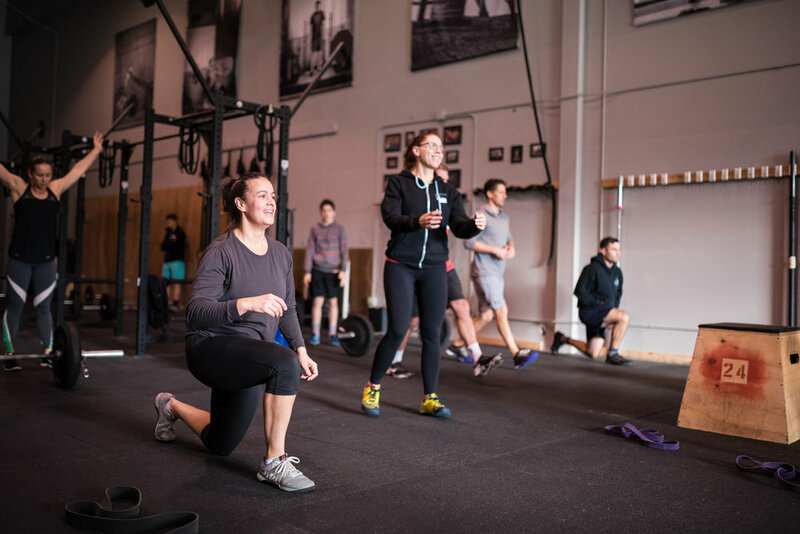 At Cascade CrossFit in our WODs, you will start to see levels ranging 1-4 listed below the workout to provide some perspective and recommendation on scaling. Your level will not always be the same, since we all have different strengths and weaknesses. For example - you might really struggle with overhead squats, and the Level 1 weight is the empty barbell, so you perform the workout at a "Level 1" scale. The next day's WOD is deadlifts and you can jam those out easy, so you perform the workout at the level 3 scale - it truly will be different for everyone, every day. This is YOUR JOURNEY, and no one else's - don't get caught up in the different levels and whether or not you can perform workouts "RX". Focus on using consistent weights for each movement, at various rep ranges, and note how your speed, efficiency, and ability to recover improve over time. THAT is where you will see progress. Lastly, the levels are merely suggestions. We have added this to help you easily identify different options for yourself when formulating your game plan for the WOD. These levels are not the only way to scale the workout, so if you're somewhere between a 2 and 3, then do that. As always, ask your coach for guidance if you are unsure how you should be scaling for the workout.